Superdry men’s Surplus goods open twist crew. 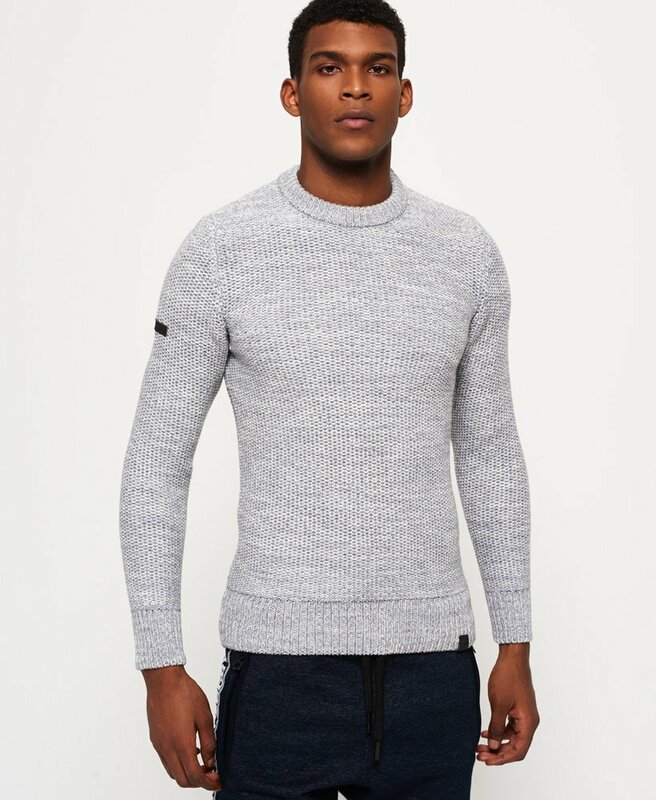 This cosy yet stylish jumper features a ribbed crew neckline, ribbed cuffs and a ribbed hem. This jumper is finished off with a faux leather patch on the sleeve and a faux leather tab on the hem.